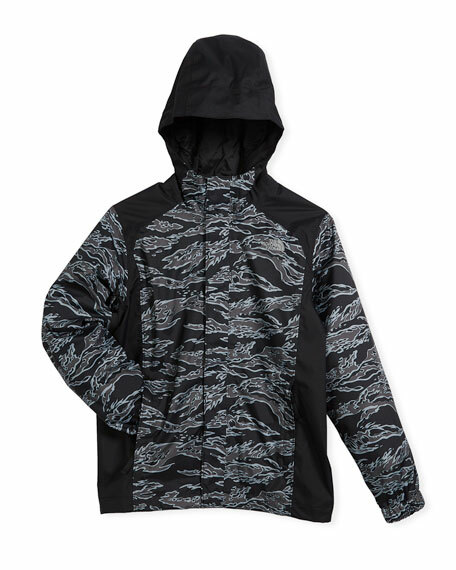 The North Face "Resolve" reflective rain jacket. Hooded collar with soft, brushed lining. Grip-strap flap conceals front zip. Reflective front and back logos. Hood and sleeve lining, nylon taffeta. For in-store inquiries, use sku #2460573.